There are two types of artists: the kind we'll see again, replicated to some reasonable degree, and the kind we'll never see again. That first one isn't about being mimicked, but more about recapturing a particular essence. Let me explain. There will never be another Jack Kirby, but we've seen artists approximate Kirby and channel him to such an extent that it's impossible to think of superhero comics without something of Kirby being embedded in the language. In fact, everyone who followed Kirby over at Marvel gave off a Kirby vibe, and some were specifically told to imitate Kirby. (Apparently, Kirby even sat some of them down and taught them firsthand how to do it.) You can't look at superhero books after 1966 without seeing Kirby's vibe in there. Somehow, some way, someone's always channeling Kirby. But Steve Ditko? A superhero artist who could convey panel-to-panel motion like no one else and whose faces and body language were distinctly neurotic, all the while sometimes pulling out the random psychedelic effect out of his arsenal? I'm gonna see that guy again? I doubt it. I could see isolated aspects of his work in different places — the neuroses in some slice-of-life indie works, for example — but it's all compartmentalized. And it's not about just "aping" Ditko's style or Ditko's effects, because it's about capturing the essence of the artist. I have said the words "He reminds me of Jack Kirby" in a very real way, most recently with Walter Simonson and his work on Thor (And Walt doesn't draw like Jack — it's not about the draftsmanship). But I'm pretty sure I'll never see another artist where I can say "He reminds me of Ditko" and mean it in all the real ways "being reminded of Ditko" really means. Sure, I've said that I think Ron Frenz did a good job mimicking Ditko's Spider-Man, that Todd McFarlane brought back the weirdness that had been missing since Ditko left Spider-Man, and that Marcos Martin had approximated the same kind of panel transitions and illusion of movement, but it's all small aspects, little things, instead of the whole essence of what one means when one says "Ditko." In comic strips, there will never be another Charles Schulz. Peanuts was already revolutionary for its time, but what made it special — its more quiet and insightful observations on human nature — isn't, among other things, commercially feasible for a syndicate. Even when one comes close, like Calvin and Hobbes, the draftsmanship is so distinct that Peanuts still can't help but be Peanuts. Also, towards the end, Sparky's hands were so overworked and his nerves were wracked, causing a shakiness in his line that couldn't be replicated, and his line was so organic to begin with that you can tell what Sparky didn't draw. Moving forward a few decades, George Perez, my favorite artist of all time, has already spawned generations of artists that can bring the same things he brought to the table. 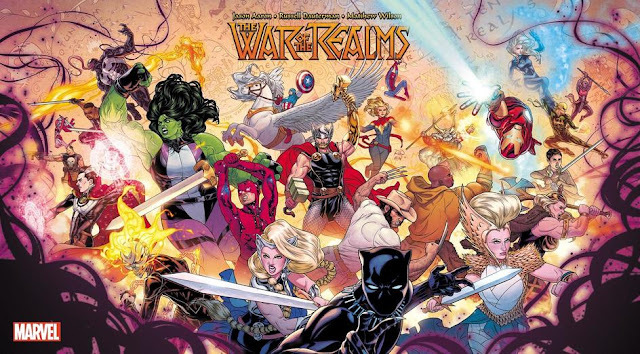 Maybe no one can draw a group shot like Perez, or draw so many distinct faces, but we've already seen people like Phil Jimenez and Ivan Reis do similar things to approximately the same effects. In contrast, Frank Miller drew blocky faces, stretched all laws of proportion, and ensured solid storytelling by anchoring everything with his innovative layouts and use of shadows. Tell me I'm seeing that again. And by that same token, I'm pretty sure I'm never going to see Rob Liefeld again. The second result for "Rob Liefeld" leads to this website. 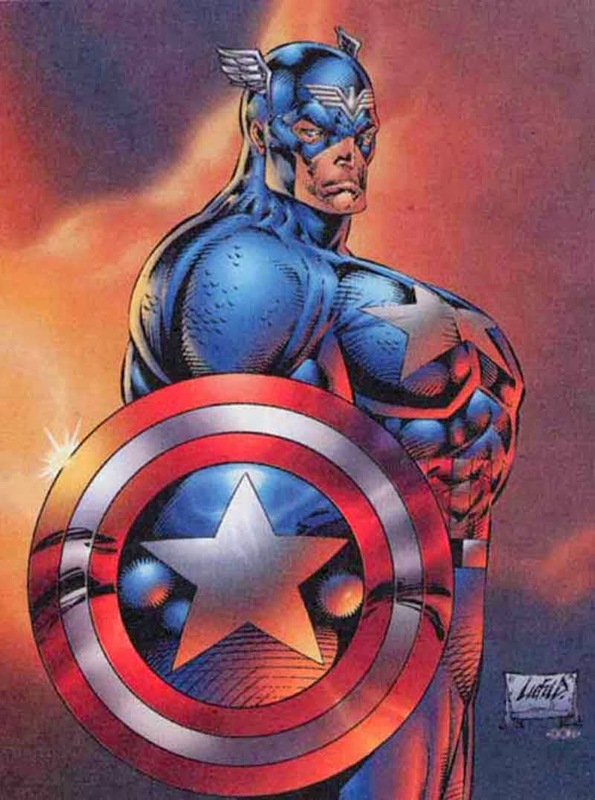 And Liefeld's Captain America has been used as the symbol of terrible art to the degree that I didn't have to guess what people meant by it. They mean this. 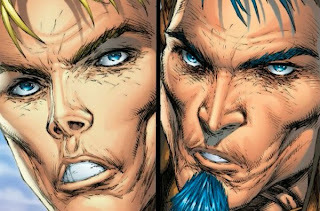 I don't like Liefeld's work, but the thing is, the opinion of any one fan is irrelevant. Liefeld sold. A lot. He broke records. He was so successful on Marvel's New Mutants that they renamed it X-Force, the first issue of which broke records (which were later broken, but that's what records are for). Along with Todd McFarlane and Jim Lee, he was one of the three biggest sellers of the initial Image batch. 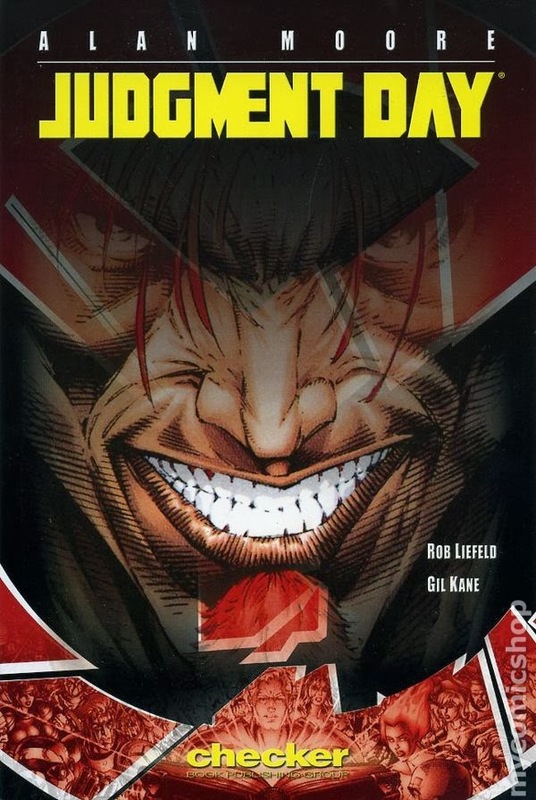 In 1996, when Marvel outsourced the Avengers and the Fantastic Four, they gave the properties to Lee and Liefeld, and although Liefeld was taken off Captain America and Avengers halfway through the year-long project (officially because he didn't meet his sales quota, but I wouldn't doubt if there was more to it, since Liefeld and Image also had a falling out at the same time), his titles skyrocketed in sales the moment he got on them. He ran companies like Awesome, Maximum Press, and Extreme, and got people like Alan Moore and Jeph Loeb to write for him. He was assigned books when DC launched the New 52. Throughout the years, Marvel and DC kept going back to him with more work. But for me, here's the biggest thing: he had imitators. Not only did he have his own studio where people drew like him (Google "Jesus vs. Zeus" sometime), but pick up ten random X-books in the mid-90s, and eight times out of those ten, an artist will probably be trying to draw like Liefeld. Even longtime comics artist Herb Trimpe, who drew the first appearance of Wolverine, converted his art style to match those of the 90s guys, and CBR noted that it was most reminiscent of Liefeld's. And while Trimpe says that he did it on purpose, I wouldn't doubt that artists were being told to draw like Rob. 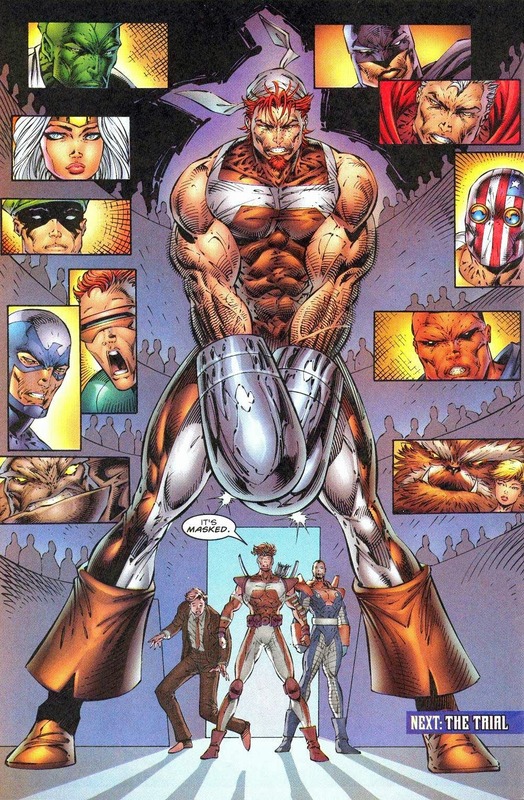 So at one point, people were trying to draw like Rob Liefeld. And not getting it. 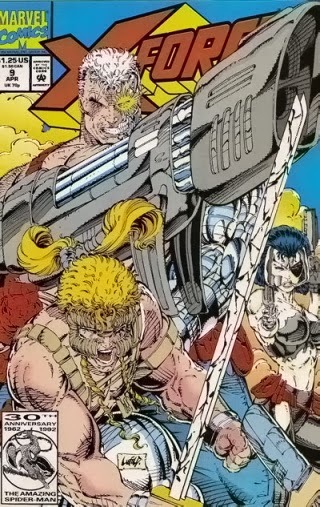 Because only Liefeld can be Liefeld. Only he can create those lines that say "Liefeld." No one else can do it. And for all the problems that Rob Liefeld has, artistically speaking, I think it's a categorically worse product when someone's trying to imitate him. Because it just can't really be done. Sure, okay, it's kind of defensive and a little obnoxious, but for the most part, the man is right. You know him. The entire comics world knows who he is. Sure, he popularized a lot of things that we see as trite and stupid now, but that's the point. He was big enough to popularize them. There were other artists in the same era who were worse than Rob, and they aren't known for anything — in fact, they're mostly forgotten, or have improved dramatically since. There were other artists in the same era who were better. 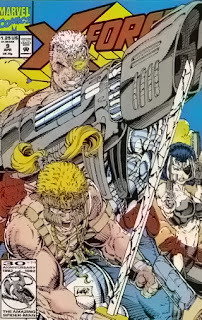 In fact, if you look at the entire original Image crew, I would definitively rank Liefeld last in terms of both draftsmanship and storytelling ability, but with the exception of two of those artists (Lee and McFarlane), Liefeld consistently outsold all of them. (Interesting side note: I honestly think the two best of the Image founders are Erik Larsen when it comes to pure storytelling and Marc Silvestri when it comes to pure draftsmanship. I thought that in 1992 and still think that now.) He co-created Cable and Deadpool, two characters that have endured the test of time. How many creators after 1970 can claim co-creation of two big characters? It's not a long list. 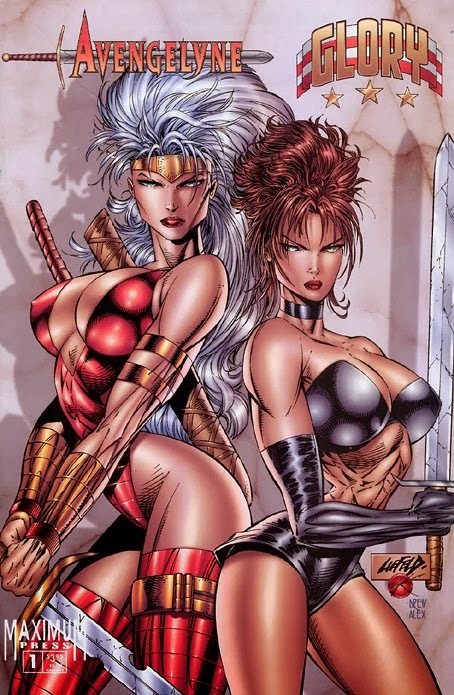 And even if you say those characters were better after Liefeld left, as I have often seen on the Internet, they're still his co-creations, his contributions. 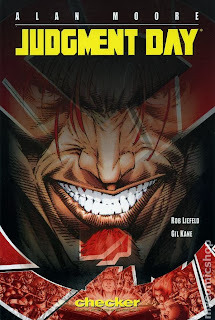 We can talk about technical ability, about who draws the most natural poses, how many artists can draw the most distinct faces, who does the best transitions, who's the most innovative all we want, but the bottom line is that Liefeld mattered in the statistic that is most relevant to any corporation or industry: he moved books and made sales. And he did it by being Rob Liefeld, skimping on backgrounds and using the same three or four facial expressions throughout every book. He draws and people buy. Does it really matter what else is said about him? Clearly, his art speaks to a substantial faction of fandom. Maybe he keeps using those facial expressions because those facial expressions are visceral. 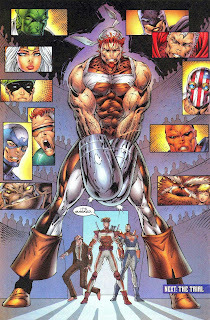 Remember, Liefeld came up big in a pretty angsty time in pop culture. It's pretty easy to see his art speaking to that audience. Art has an objective aspect and a subjective aspect. And for all of the negative things you can say about Rob in one, it's pretty clear that he has enough supporters in the other. And even if some people just buy his stuff only to whine about it, well, those people are just contributing to his success. You can be a fan of Rob Liefeld. You can be a detractor (but for the love of God, don't be this guy). You can love him or you can hate him. Maybe you just don't care about him. Just know that he is a historic figure in comics. He's been one of its most polarizing figures for the past three decades. The very mention of his name attached to something guarantees publicity, an uproar, and a certain amount of sales. He's truly one of a kind. 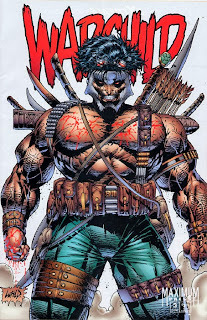 I'm fairly certain comics will not only never see another Rob Liefeld, but we will also never see anyone remotely like him again. And thank goodness for that. I think one is enough. Long after his career is over, you will remember him.